Kitchen Facelift and update recently completed | A.B.E. 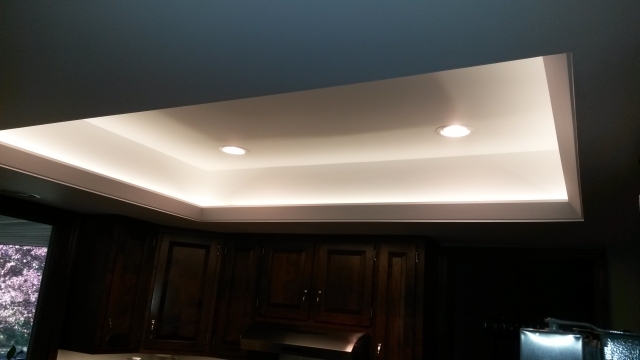 Remodeling, INC.
We are so pleased to have another satisfied client. Our friend, Donna is the owner of her newly rennovated kitchen. 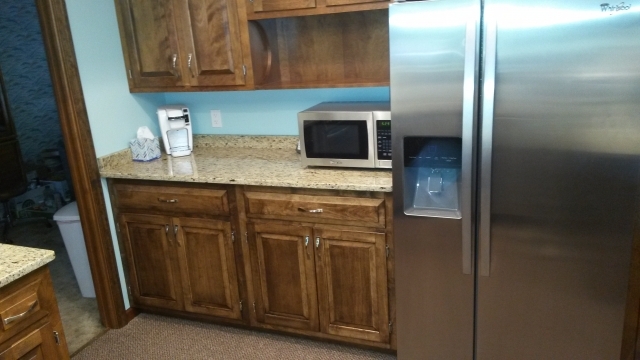 Donna has informed us that she is well pleased with her recently updated working area in her kitchen. 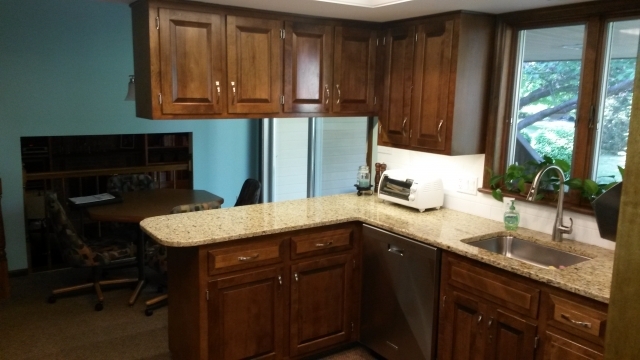 She is now enjoying her new countertop, her new appliances, her cabinets to store away her belongings and Donna has put more "light" into her projects with her overhead trough lighting. 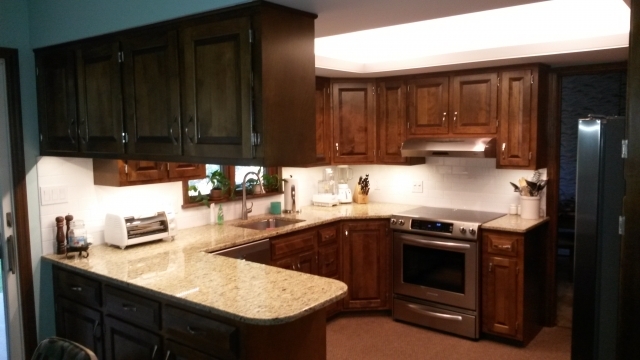 We are grateful to Donna for choosing us to work with her and for her on her kitchen facelift. Keep in mind that we're just a phone call away to discuss your wants and thoughts on any home improvements you might have to do. Perhaps you desire a kitchen facelift as Donna just did.